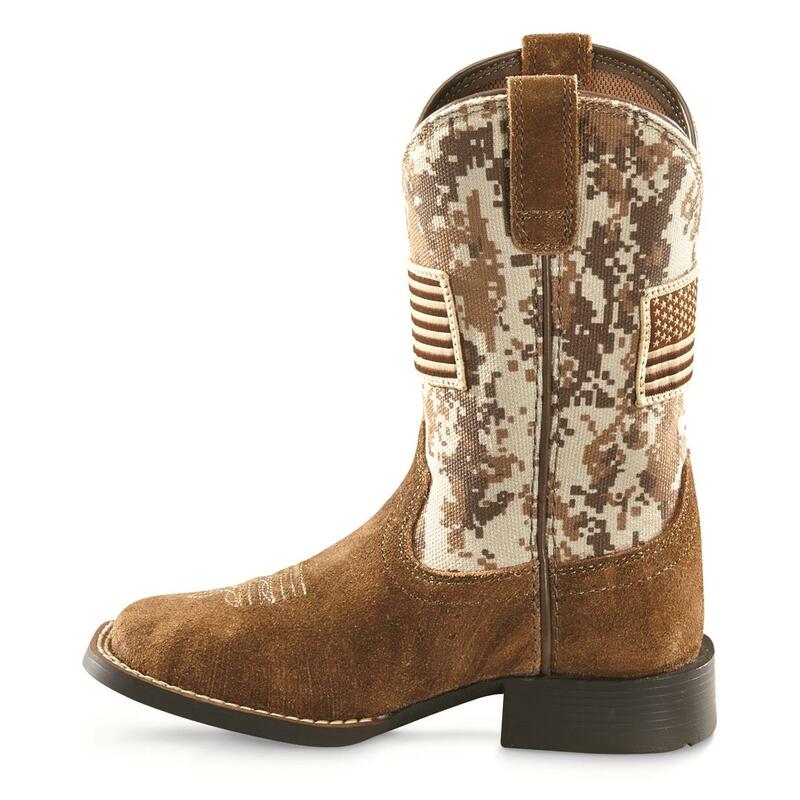 Here are Western Boots you can get your kid without worrying about them not fitting in a month. The Booster Bed under the insole is removable. So as your child grows, you can take it out so the Boots still fit. That way, your child gets to wear these Boots even longer. And they still come with the 4LR comfort technology and American Flag overlay just like the popular Patriot series for adults. 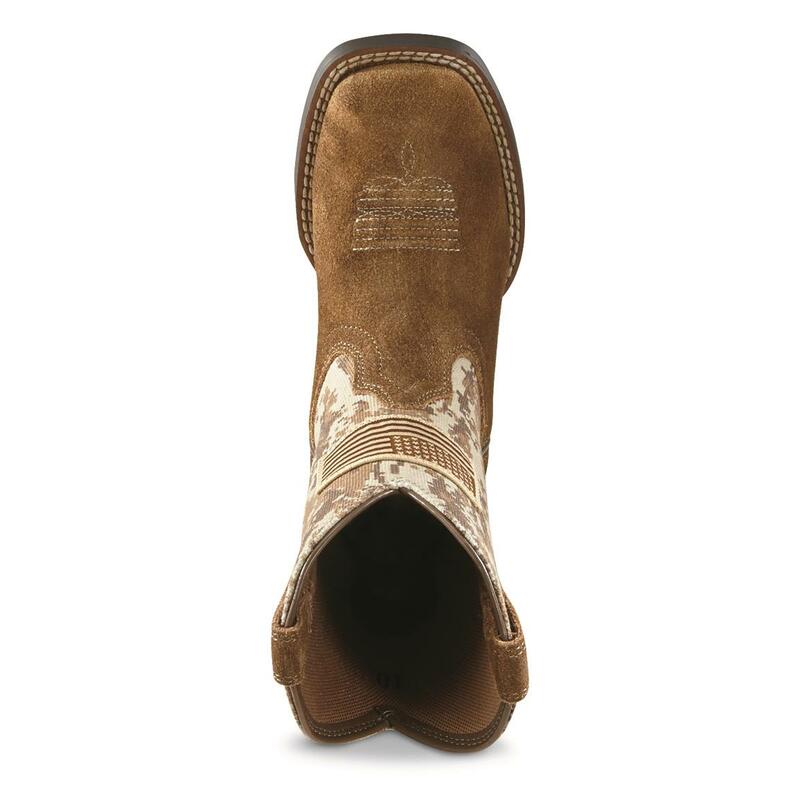 Grab these Western Boots that your child can get lots of use from! 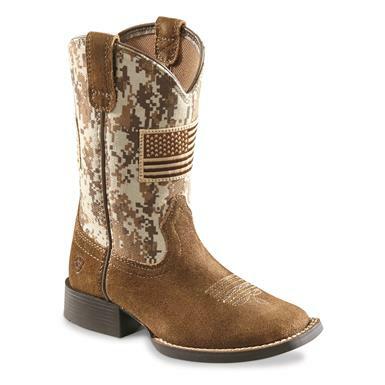 Ariat Kids Patriot Square Toe Western Boots is rated 4.5 out of 5 by 4. 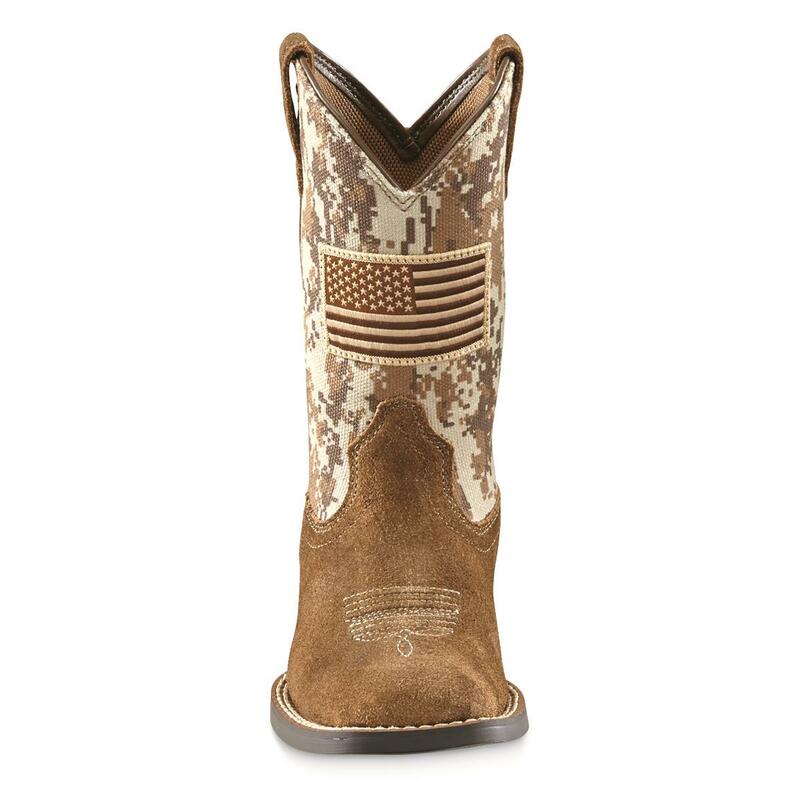 Rated 3 out of 5 by Douglas from good looking boot this is a good boot, the kids love them. only concern is they seem easily scuffed, and run large. 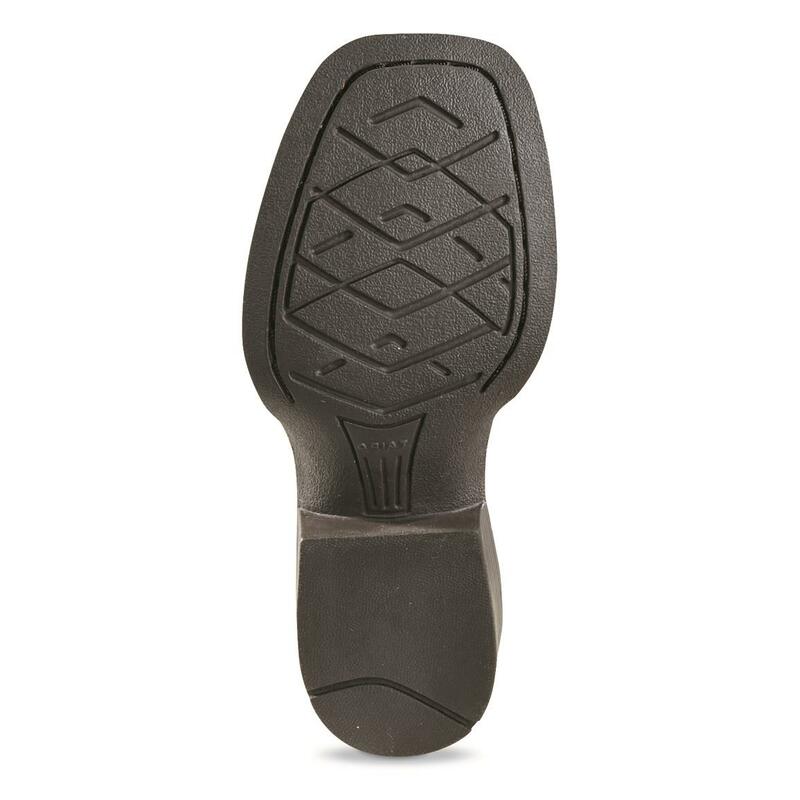 Rated 5 out of 5 by Meggiles3 from Great quality boot! I purchased this for my nephew and was surprised with how amazing the quality is! 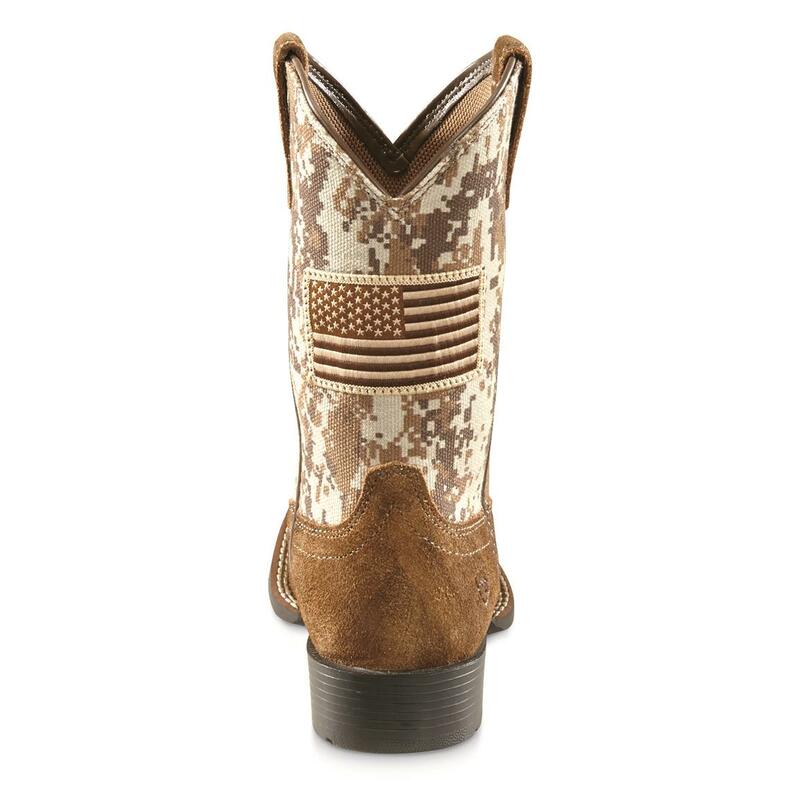 I know these boots will last him a long time. I was told he wears a size 10 so I bought a size 10.5, which ended up fitting him perfectly. Since he is only three, I returned the 10.5 and bought a size 12 instead so he could grow into them. Just something to keep in mind! 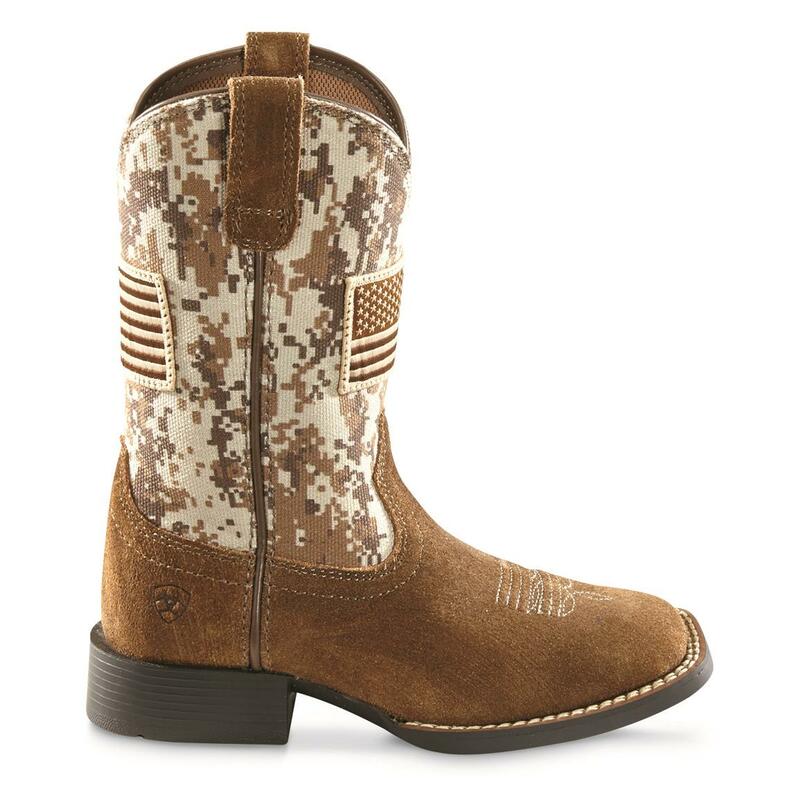 Thanks for another great boot, Ariat!